Your Meet & Mingle will be hosted by MSC Cruises on select sailings and you'll be able to register to attend as soon as the booking schedule opens. 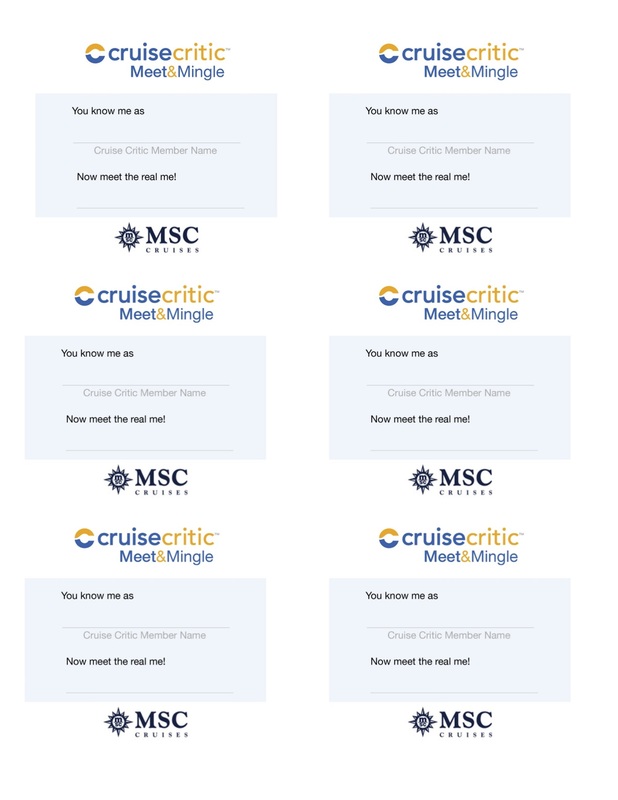 Seven days prior to your sail date you will receive a confirmation email and you will have an opportunity to meet your new Cruise Critic friends on board at the Cruise Critic Meet & Mingle on your MSC Cruise. You will receive notice of the time, date and place of your Meet & Mingle by invitation in your stateroom once you are on board. MSC Cruises will be providing a private lounge (or other venue is provided) as well a either a hosted one-hour cocktail party and/or coffee service, or hors d’oeuvres. Registering will allow you to enjoy an opportunity to get acquainted with fellow cruisers whom you've communicated with online on your cruise. Share information and tips, make plans in advance of your cruise - and then meet your new friends on board during your private, complimentary Meet & Mingle! Meet & Mingle Online Before Your Cruise Find your Roll Call in our MSC Cruises Roll Calls. Then, join the discussion before your cruise to find out who you'll be sailing with, make new friends and perhaps even share a shore excursion or two! If You Sign Up, GO! MSC Cruises has made it very easy to attend the Meet & Mingle. You'll receive an e-mail confirming the party, and will receive the time, date and place for the gathering once you are on board. We know there are so many choices on board it is easy to see how it might be tempting to skip the M&M, but DON'T! 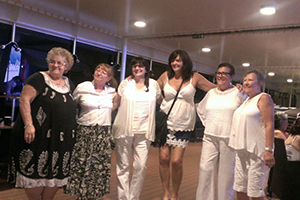 You'll be surprised by how much effort is put into these gatherings by the staff on board. Make it worth THEIR while, too. They truly want to meet you (and you can get a few nice pics with them, too!). Also, don't sign up just so a party will be held. It is disappointing to members, as well as the staff on board, to have only a few show up -- when they were anticipating a crowd.